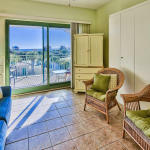 This third-floor condo is ideal for beach retreats along the white sands of the Emerald Coast. 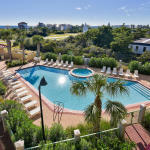 Gulf views abound from this 325-square-foot condo nestled between Alys Beach and Rosemary Beach. 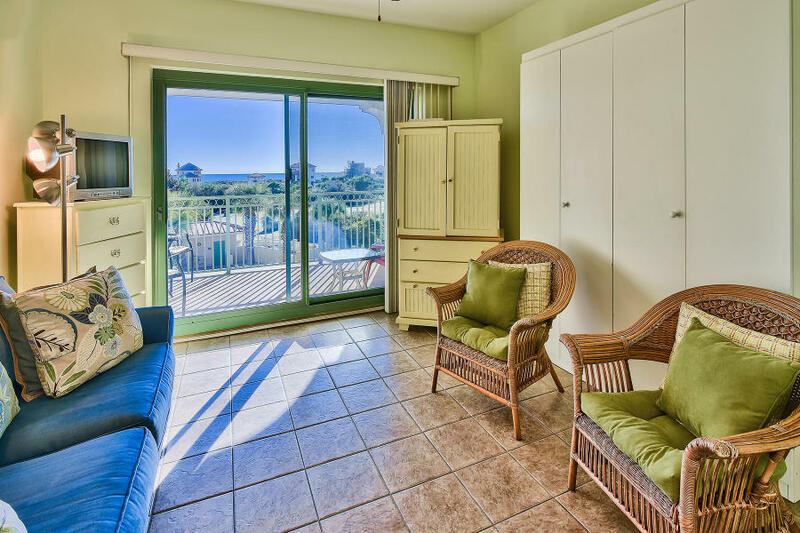 Deeded beach access is conveniently located right across the street through Sunset Beach. 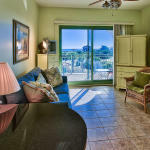 The unit has a kitchenette, granite counter tops and full-sized refrigerator. A Murphy bed pulls down to maximize space in the living area. 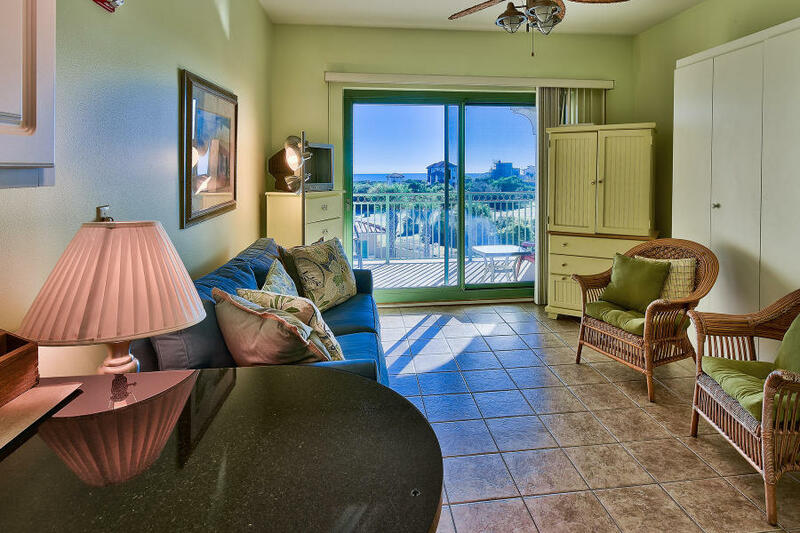 2013 gross rental income was $14,000. 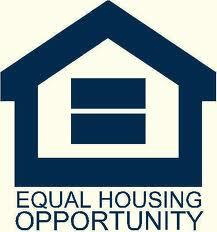 Owners will entertain financing options for the right buyer. 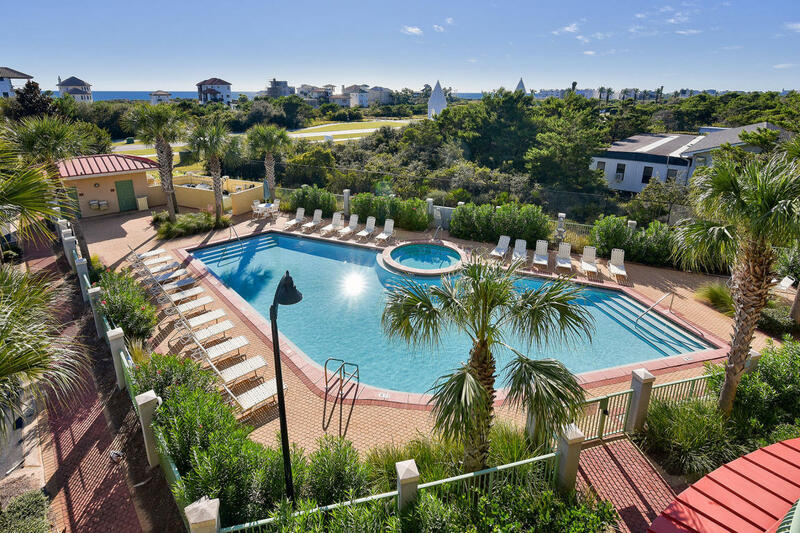 The Inn at Seacrest Beach is perfectly located between all the shops, restaurants and entertainment of Alys Beach and Rosemary Beach.